51% attack is not new to crypto industry and will exist here as long as crypto does, this time its ETC(Ethereum Classic), 18th largest crypto by marketcap which faced it. Market has responded as expected and its price has been sliced by 18 %, currently trading at 4.6US$. A 51% Attack is a potential attack under which miners who gain more than 50% hashing power of network can try to prevent other transactions and spend their coins multiple times, it can also be termed as Double Spend attack. Let’s think you spend 10 Altcoin on something, also you have Miners which can provide you 51% or more Hash rate, now with that, you can rollback your transaction and get your 10 Altcoin back. So at the end of attack you got your Altcoin back and whatever you bought also. you are now free to spend your altcoin again. which is double spending the coin. Bitcoin network is protected by a very large hashrate, doing a 51% attack is not practically possible since no one can come even close to 50% hashrate, it will need very large investment, huge ASIC Miner Farm etc which act as roadblock to attack BTC chain , so we all can presume that 51% attack on BTC network is not gonna happen anytime soon. That’s where the concern lies, while BTC network is capable enough to stop 51% attack, Altcoin networks don’t have that much hashrate and can be 51% attacked. However, it still is tough but it can happen when some major players decides to join the suite or someone alone gains that much power. In the case of ETC network 51% attack, attack happened during 5th-7th January, a China-based threat Intelligence firm Slowmist conveyed the info regarding a potential 51% attack on ETC network and a mining pool also reported of the same, hashing rate of network had excessively gone overboard , on which ETC developers responded that there was no double spend detected and all Reorgs are as usual within ETC network. Now several exchanges have reported loss in the recent attack like binance, Bitrue, yobit. however, attacker has made not much loss (around 1 million) but news has made major loss to ETC value slashing 18% off it. ETC is not alone in this regard last year BTG, XVG, ETN also faced 51% attack and since then their value has fallen much. 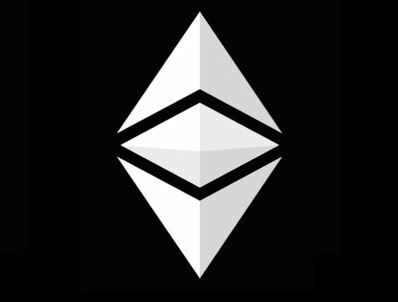 ETC price can see further downside as news will spread, however this event is not of such magnitute that can create a big dent in ETC community, which is strongly with ETC.